NIAGARA FALLS, N.Y -- Today Attorney General Barbara D. Underwood announced a settlement with a Niagara Falls landlord, David Ramirez, for including numerous illegal clauses in his residential leases. Ramirez, an out-of-town landlord, owns over a dozen residential properties in the Niagara Falls area. For many years, Ramirez required tenants to sign leases that purported to forego their rights under New York landlord tenant law. As a result of today's settlement, Ramirez must pay a fine of $5,000 and provide tenants with leases that comply with the law; he will also be subject to oversight and monitoring. "My office has zero tolerance for landlords who attempt to evade the legal protections New York renters are entitled," said Attorney General Underwood. "We will continue to ensure that landlords comply with the law and uphold their responsibilities to their tenants." Ramirez's leases required his tenants give up any rights under "NY eviction law" and claimed that the "contract prevails" over New York law. He also made tenants agree that their agreement was "not a lease," in an attempt to evade protections tenants are entitled to under New York law. The leases claimed to give Ramirez the right to illegally lock-out tenants without formal eviction proceedings, and noted that tenants would be "trespassing" if they did not vacate upon demand and could be arrested if they did not comply with a 30-day notice to vacate. The leases also included clauses disclaiming any liability for his own negligence, including claims relating to lead, asbestos, and bed bug infestation. 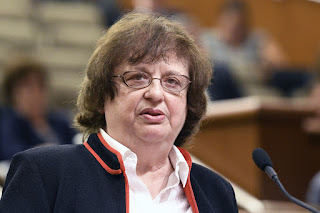 The Attorney General's office found these lease clauses to be in violation of New York's Executive Law, General Obligations Law, and Real Property Law. As part of the settlement, Ramirez is required to pay $5,000 in penalties, provide tenants with lease agreements that comply with New York law, and abide by all other aspects of New York landlord-tenant law, including the handling of security deposits. Ramirez will also be subject to oversight and monitoring. Information about New York tenants' rights can be found here. This case is being handled by Assistant Attorney General Christopher L. Boyd, with the assistance of Senior Consumer Frauds Representative Karen Davis. The Buffalo Office is led by Assistant Attorney General in Charge Michael J. Russo. The Buffalo Regional Office is part of the Division of Regional Offices, which is led by Executive Deputy Attorney General for Regional Affairs Marty Mack.